Tent, quartet bows and elbows originated in 2007. 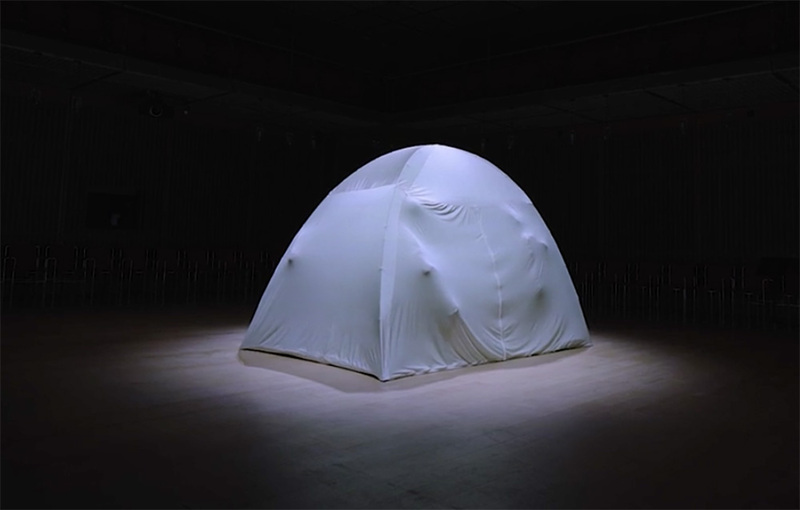 At once a sculpture, a sound piece and a performance, the intention of Tent is to physically contain sound, to embody and to make corporeal the ephemeral, to give a solid form to the lyrical. It is a simple tent, big enough for a string quartet to perform in, but small enough that an audience outside the tent can see their instruments or body parts poking and manipulating the material of the tent. Artist Ana Prvački is a theatre and music trained performance and installation artist. Prvački’s interdisciplinary work often deals with sound and sensuality. In her work she often uses a gently pedagogical and comedic approach and aims for conceptual practice with a low carbon footprint. 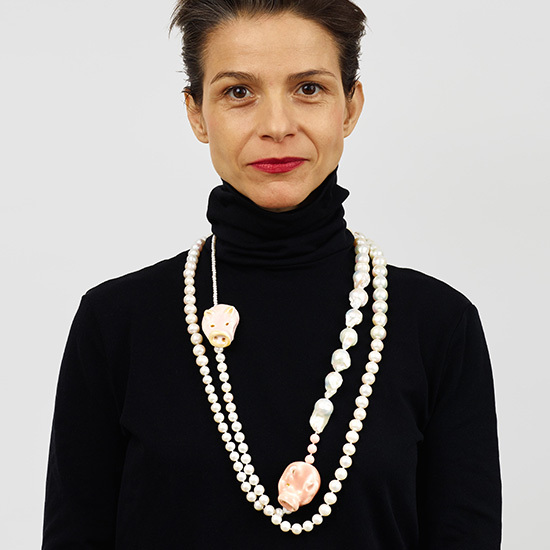 Her work has been included in many international exhibitions including 14th Istanbul Biennial SALTWATER: A Theory of Thought Forms, Turkey, 2015; Contour Biennial, Mechelen, Belgium 2015; dOCUMENTA 13, Kassel, Germany, 2012; Sydney Biennial , Australia, 2007; Singapore Biennial, Singapore, 2006; Turin Triennale, Italy, 2005. Solo exhibitions and projects include the Hammer Museum, Los Angeles, USA; the Isabella Stewart Gardner Museum, Boston, USA; Castello di Rivoli, Museo d’Arte Contemporanea, Turin, Italy; Institute of Contemporary Arts, Singapore and 1301PE Gallery, Los Angeles, USA. Her works are included in private and public collection and institutions such MOCA, LACMA and Castello di Rivoli.